If you paid attention during a high school world history class or during a discussion about empires rising and falling, odds are that you learned a lot about the Iberian Union between the Spanish and the Portuguese. At the same time, you most likely learned about the Spanish Empire and the Portuguese Empire and the vast, wealthy trade empires both nations built. 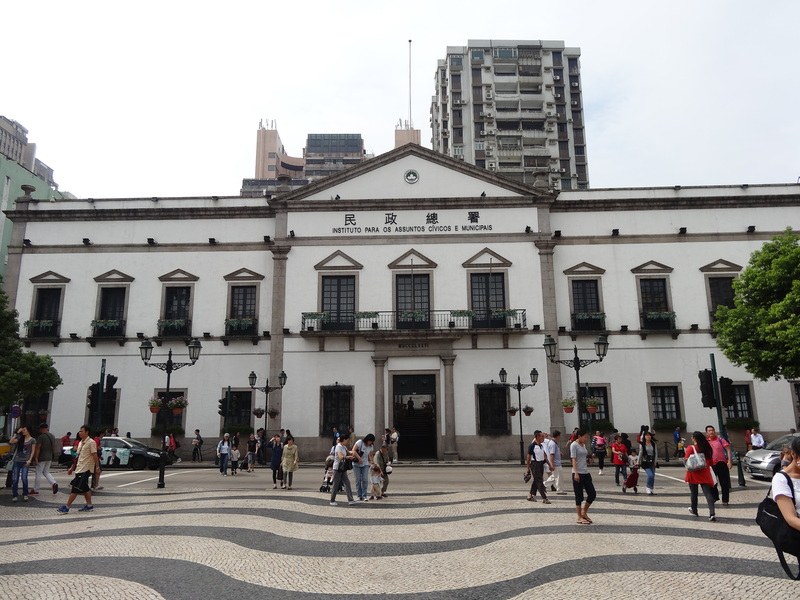 The famous military leaders, the military victories and defeats, and even cultural traces like national languages are known to most, but one of the most interesting aspects of colonial rule I want to investigate is strikingly visible all over Macau and many parts of Manila: architecture. 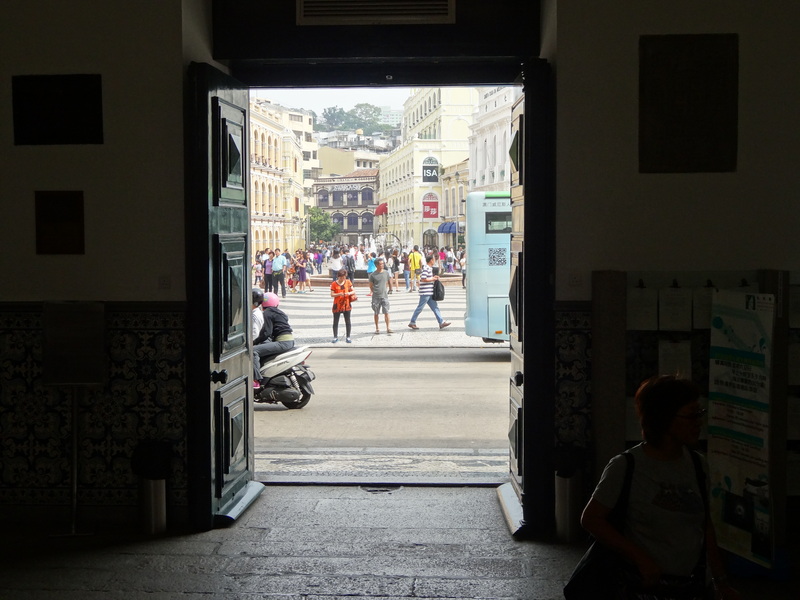 Walking to Senado Square through the customs building. In previous posts (some solely dedicated to architecture, and some not), I have mentioned the interesting nature iconic imagery that accompanies many of these old colonial structures as newer, more modern buildings spring up around them. 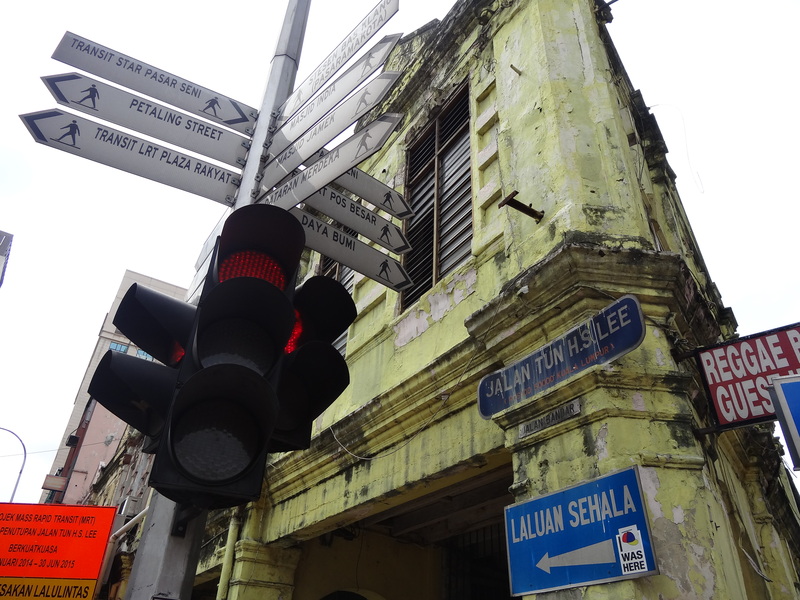 In Kuala Lumpur and Singapore, high rises and office buildings stand next to crumbling (albeit beautiful) colonial structures, and those structures stand next to other well preserved colonial buildings. The contrast is fascinating and deserves its own post. 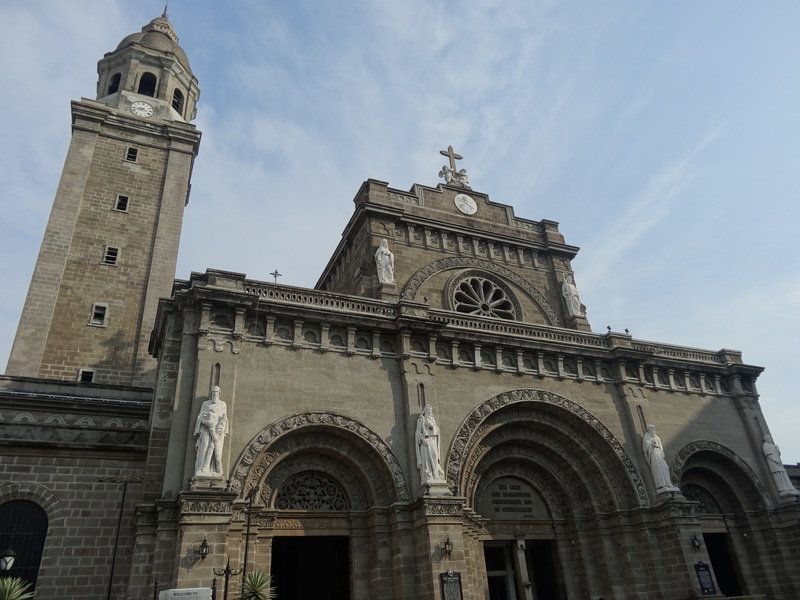 The nature of the Iberian Union and the close ties between the Portuguese and Spanish, though Catholicism and colonial architecture are a dominating presence as you walk through historic Macau and Intramuros, the famous walled city within metro Manila. There is one uniting factor between the two cities, even though they are thousands of miles apart: Spanish Baroque style architecture. This influence resonates from the gates of Intramuros to the walls of St. Paul’s. 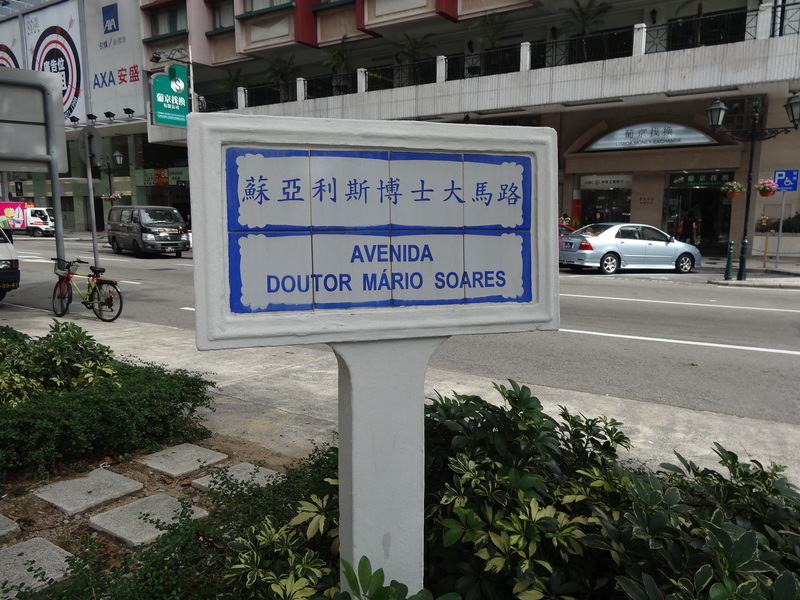 The main impetus for me traveling to Macau for the first time over a year ago was rather simple. I wanted to play roulette at the famous Grand Lisboa Casino, eat some of the famous Portuguese egg tarts, and see the famous fountain at Senado Square, right in the heart of old Macau. 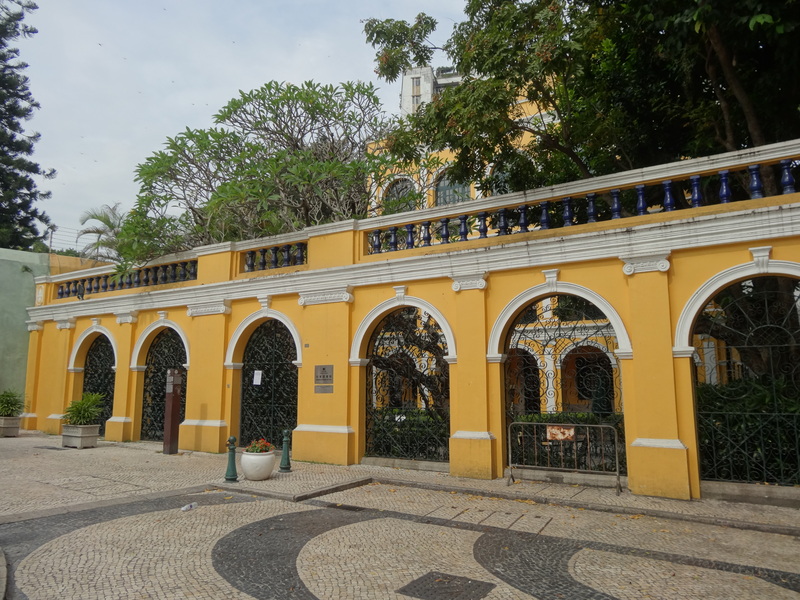 As soon as I arrived, though, I was taken back by the fantastic job that Portuguese authorities (until 1999) and the current Chinese government have done with preserving and protecting the colonial architectural treasures that await in Macau. The fabulous parks and street signs instantly let you know that you are in a special place, unlike any other on Earth. 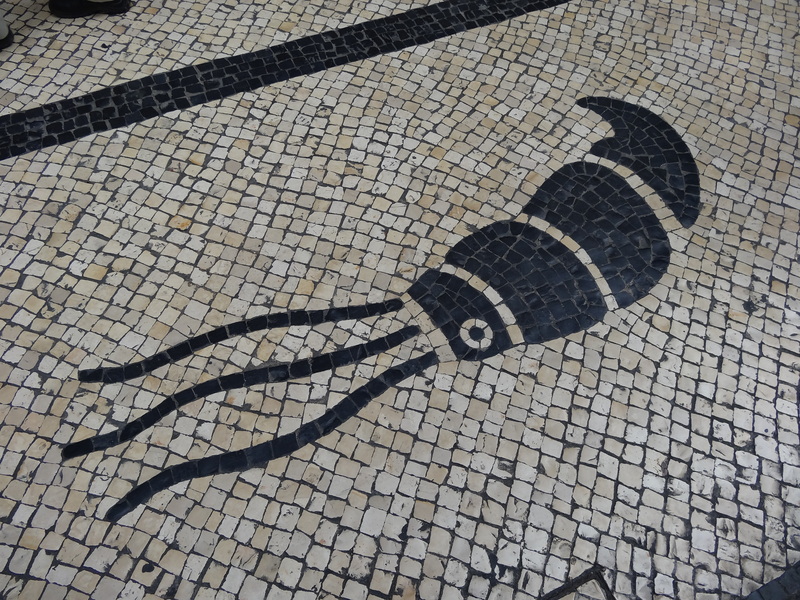 Of course Senado Square is the most famous attraction, with its 16th Century tiled walkways and plazas, boasting images of sea creatures and boats within the intricate tile work. I thought the historic nature of the city would be limited to this touristy area, but I was happily mistaken. 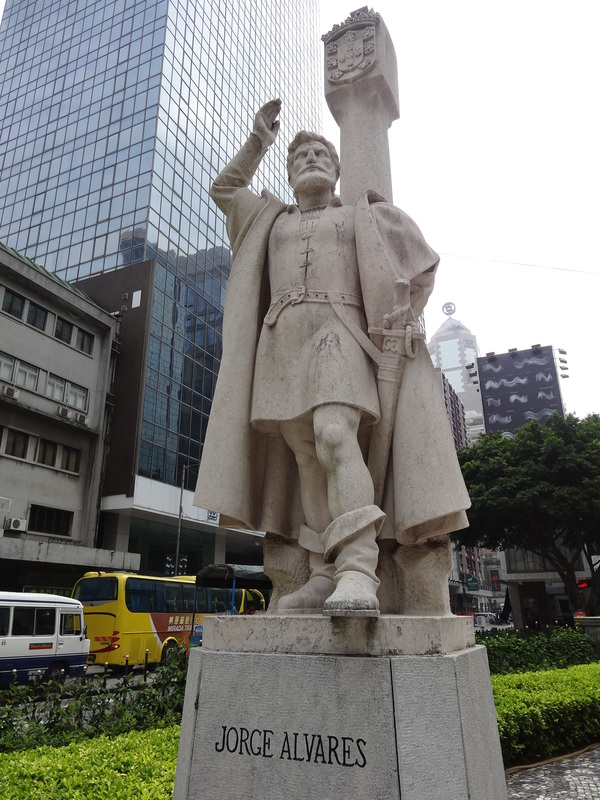 Almost as soon as one gets off of the bus at one of the casinos, the rich history of Macau becomes visible. The pastel pink governor’s mansion is visible across the lagoon from Macau Tower. As my friend and I made our way towards this beautiful building, we walked up more back alleys and found ourselves in a world of a past time. Tiled plazas were abound, as were nice walkways and statues. The dominating factor of it all, though, was the nature of the architecture. 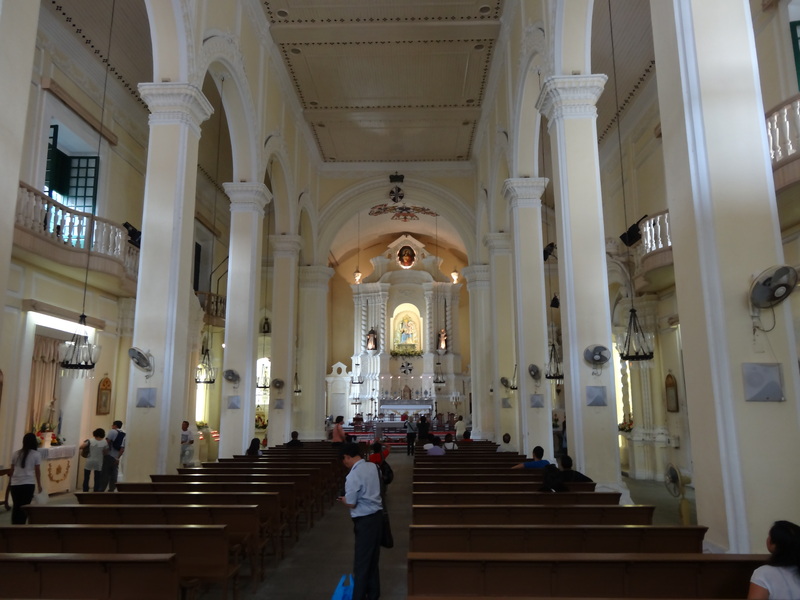 There were Catholic Churches everywhere. 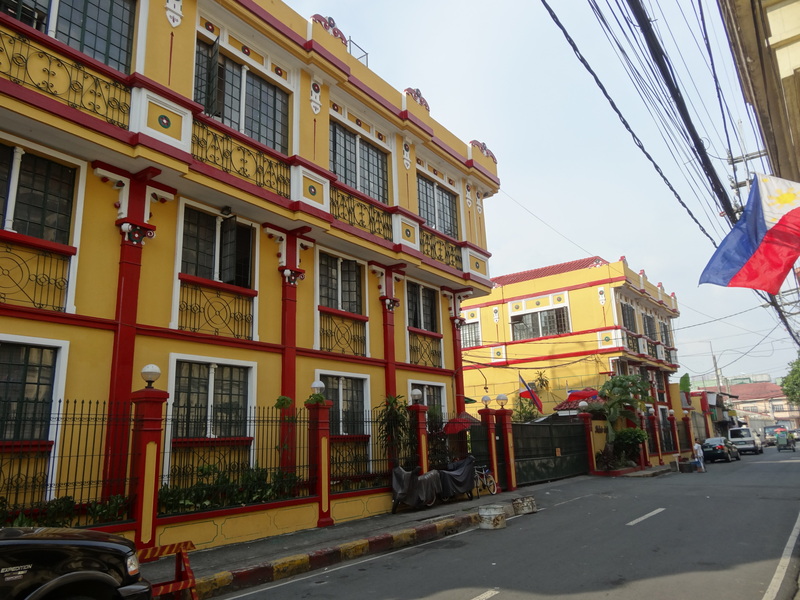 Nearby buildings borrowed from the Spanish Baroque style of architecture to help create a unique feel and flavor in the world’s most-densely populated city. 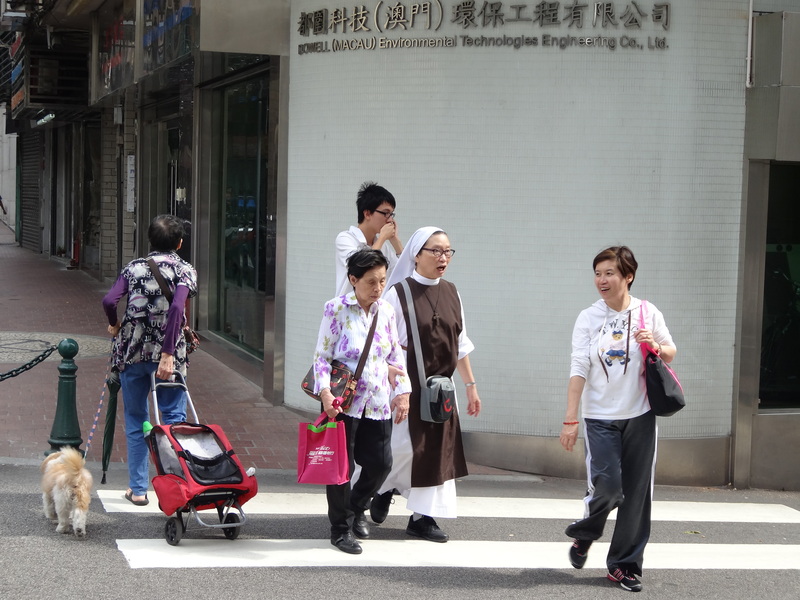 It is quite a site to see Catholic nuns walking through the streets in China with a backdrop as elegant as the various Catholic Churches in the area. 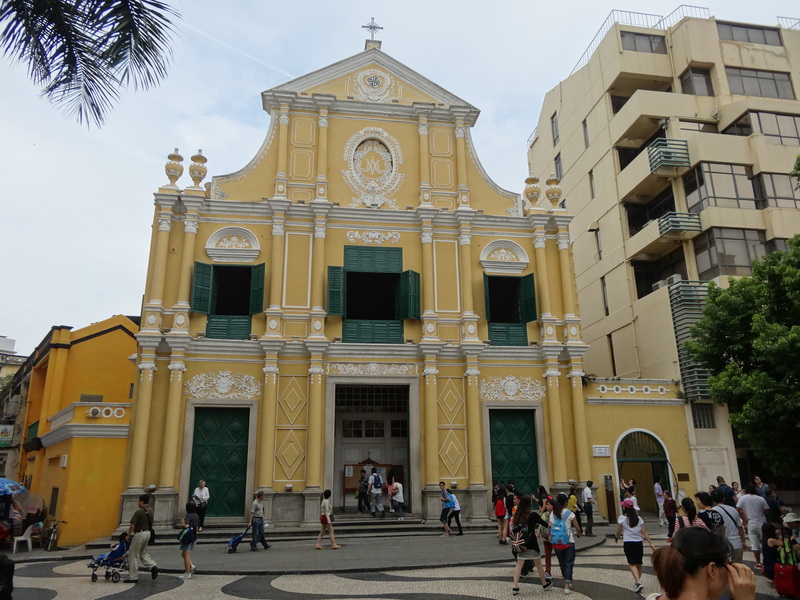 We haven’t even gotten to the most famous part of the Portuguese legacy in Macau: the ruins of St. Paul’s Cathedral. 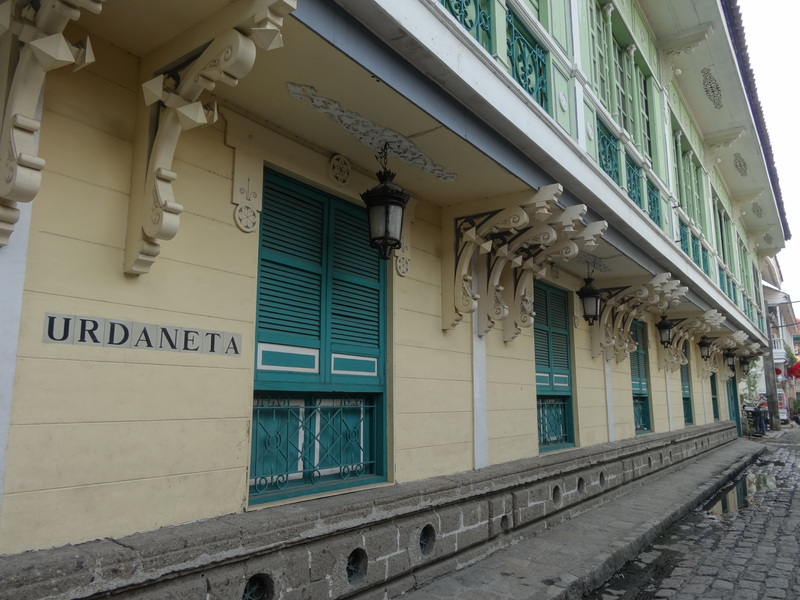 When one walks through Intramuros, similar sights and sounds follow you in a completely different environment than the one found in Macau. 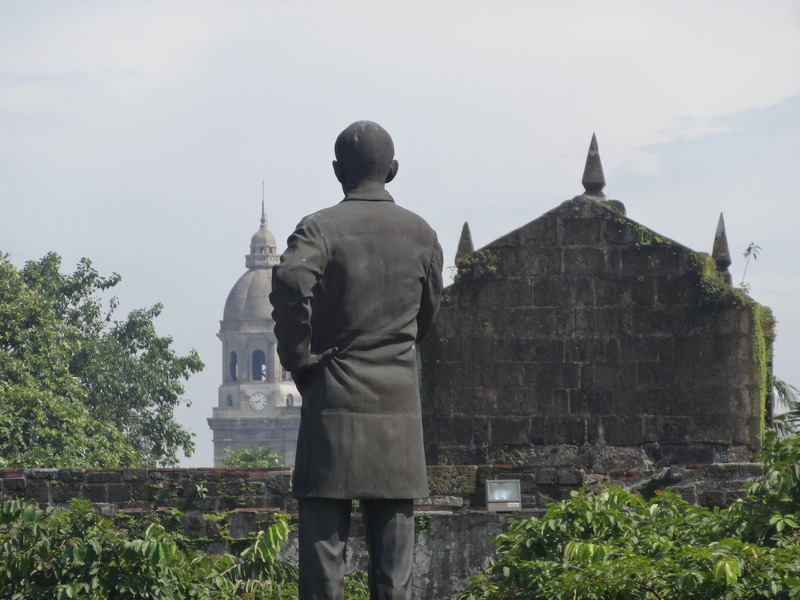 Ravaged by war, the colonial history of the city is still visible, but only in small places like Intramuros. Once you pass through the gates to the city, a whole new world comes to life. Children bustle on the cobblestone streets and in the back alleys while horse-drawn carriages carry tourists from one place to another in the Spanish-era fortification. Ruins of old shops, homes, and stores have been turned into museums and antique shops while the plazas, fountains, and monuments to previous leaders and religious figures are kept largely in tact. Pastel-colored buildings adorned with Spanish names and large cast-iron gates represent what life was like during another era. I did not find it difficult to imagine myself walking down these streets prior to the Spanish-American War. 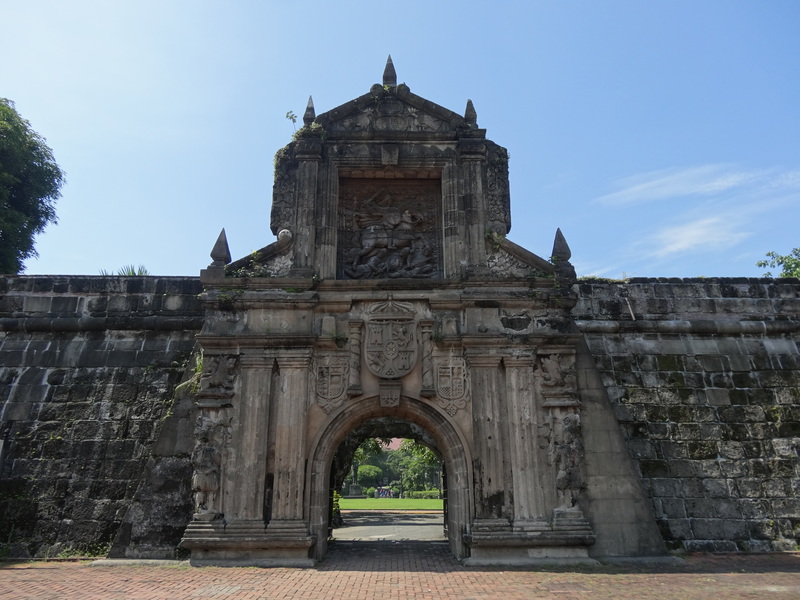 As you realize you are inside of a massive walled city and earthwork fortification, something else becomes very clear: Manila was a very important and strategic location for the Spanish Empire. 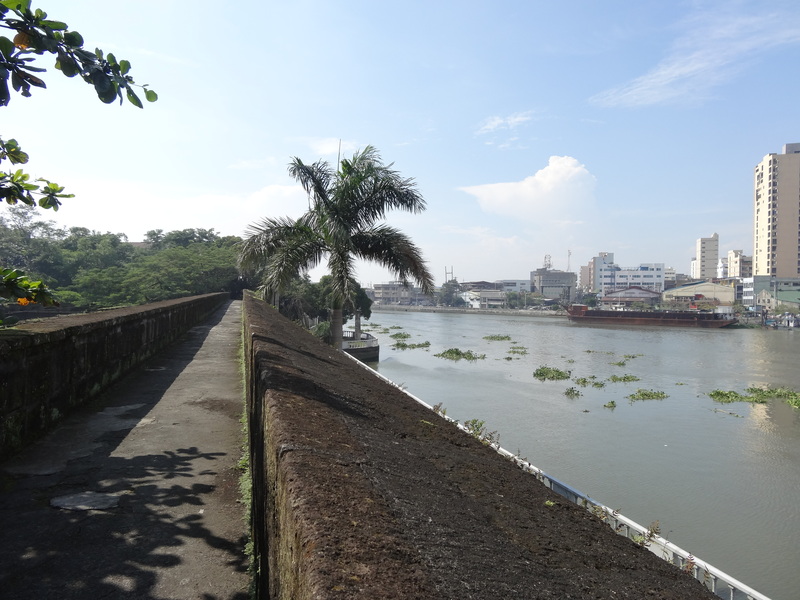 Overlooking various waterways and the Pacific Ocean, there was a reason why the Spanish, Americans, and Japanese all coveted Manila at different points in history. These kinds of views and outlook points are very similar to those one can observe in Macau, adjacent to the Ruins of St. Paul’s Cathedral. The Portuguese built a sizable and imposing fort at the top of the ridge next to St. Paul’s centuries ago and this fort helped stave off a formidable Dutch invasion centuries ago. Much like in Manila, the guns and soldiers are long gone but the fort symbolizes the military importance of a port city to trading giants. In Manila, forts look out over some of the poorer areas of the city, but in Macau there are some spectacular views of the Grand Lisboa Casino. 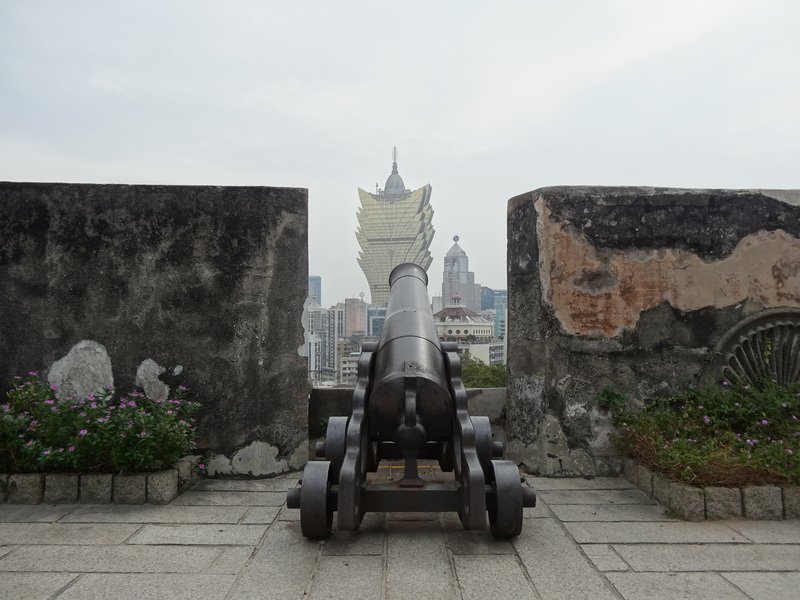 Cannons overlook the Grand Lisboa Casino in Macau. 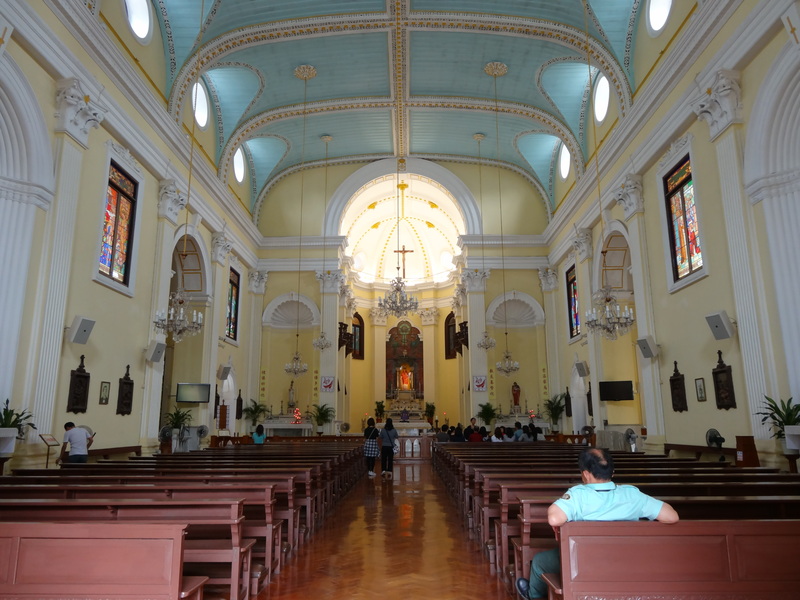 These architectural styles are fantastic, but the true beauty in Manila and Macanese architecture rest in the Catholic Churches and other places of worship that dot the respective cities. 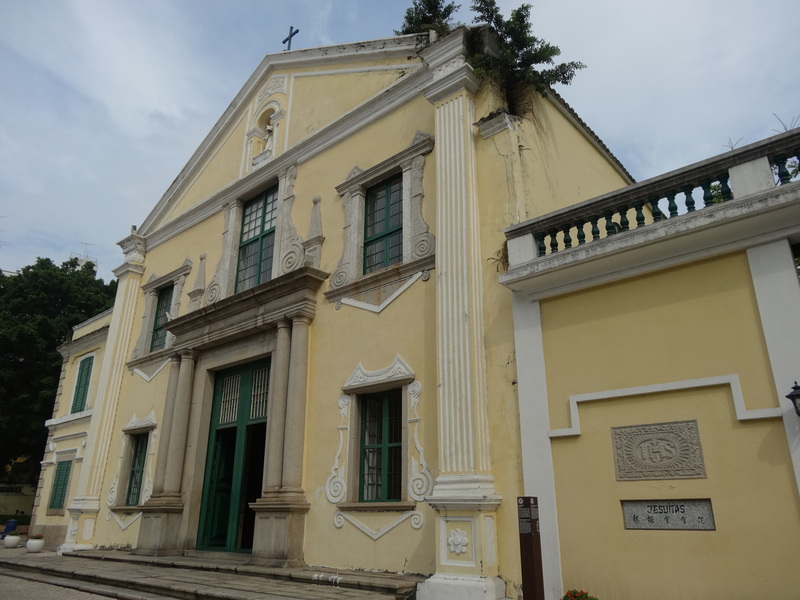 In Macau, there are various churches and cathedrals, which, with their bright exteriors and somewhat plain interiors, show off the importance of Catholicism while being somewhat modes in their construction. At the same time, the Baroque style dominates their exteriors with concrete sculptures, high rooflines, and ornate woodwork. 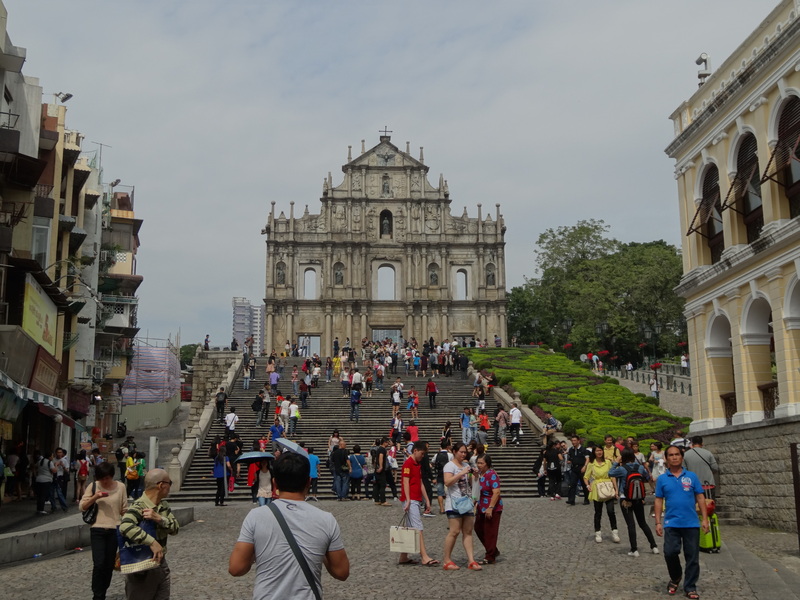 The true beauty in Macau rests with the world famous St. Paul’s ruins. A truly baroque building, the stonework and remaining elements of this church make one wonder, in awe, bout how it would have looked in its prime before it was destroyed by a fire. 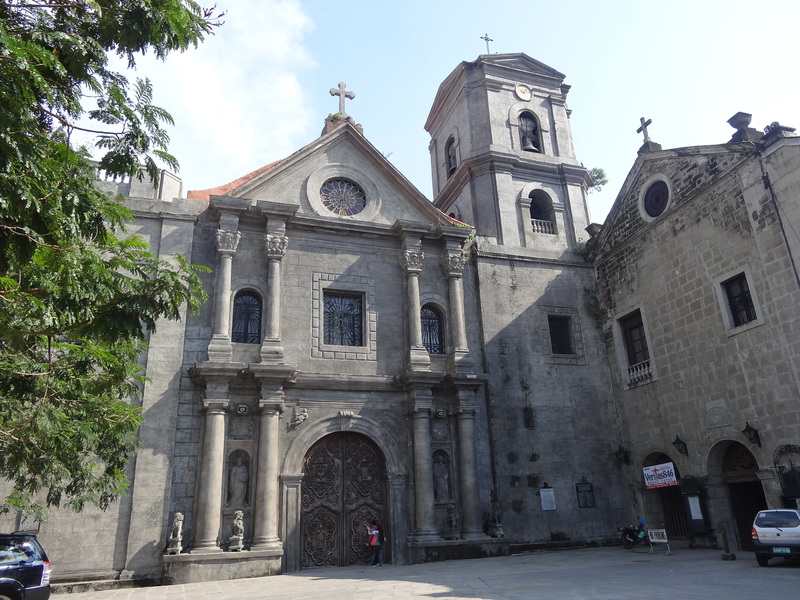 Manila’s lavishly painted San Agustin Church, along with the Manila Cathedral provide a similar feel for the Catholic influence over the largest city in the Philippines. Dominating stone facades and interiors show the Spanish Baroque-influenced architectural similarities, as well. 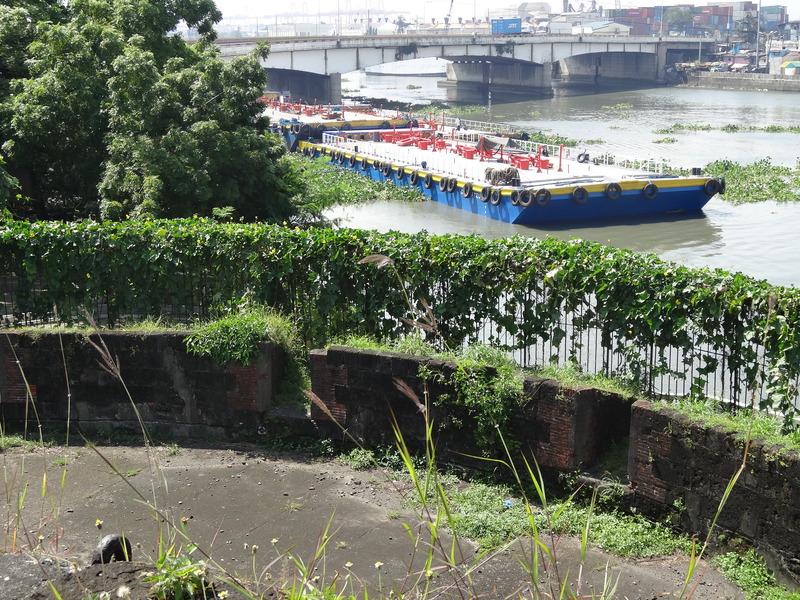 Had it not been for World War II’s destruction of much of Manila, I often wonder what the rest of the city would look like, and whether or not many of its historic and colonial structures would have been preserved. 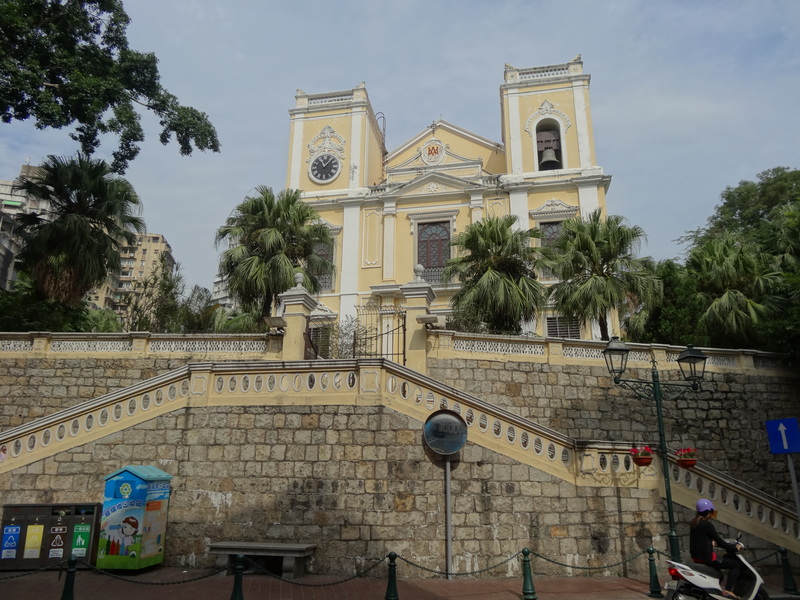 While the most famous elements of Macau’s colonial architecture rests on the northern island, a trip to the southern island and its town, called Taipa, reveals even more interesting colonial architecture. 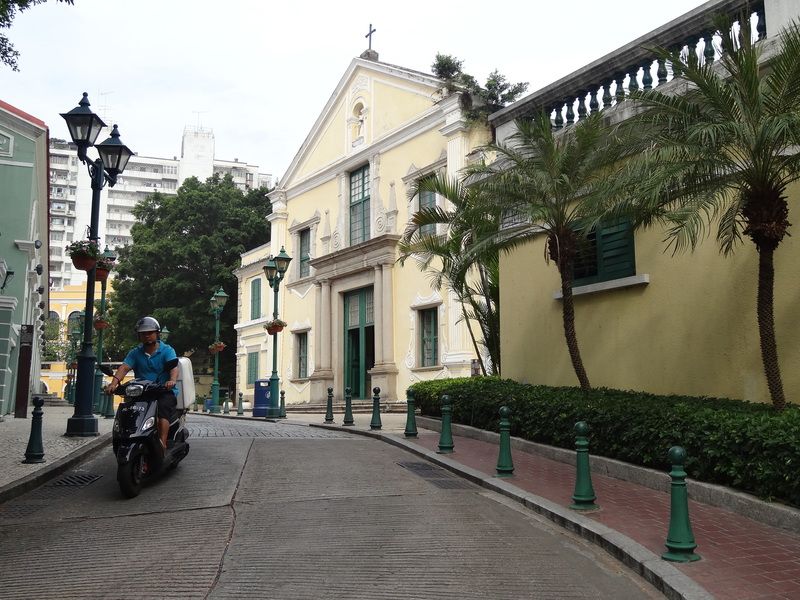 Entire streets of colonial homes and businesses give this part of Macau a very unique feel, even though it is very close to the center of the casino industry. 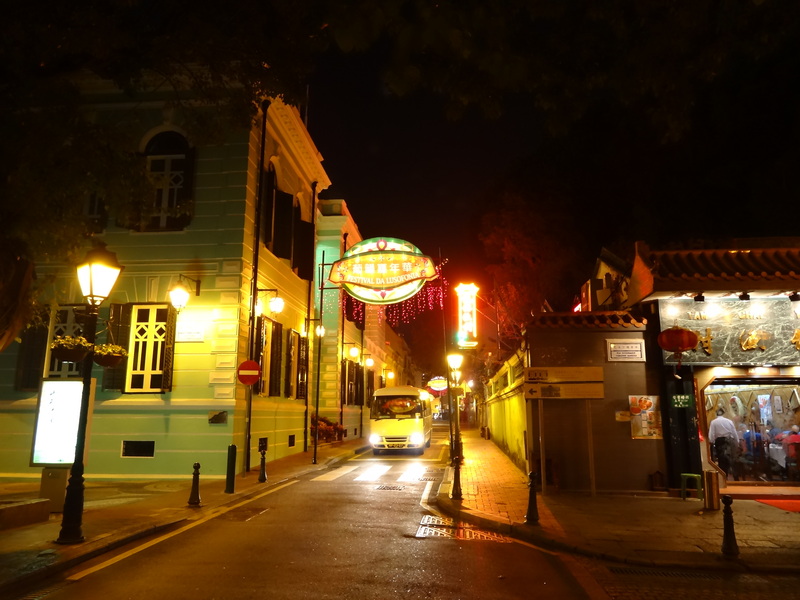 The coolest part about going to Taipa at this time of year was seeing the Lusophone Festival in full swing and sampling some Portuguese and Macanese delights as I walked through the streets of the historic port city. 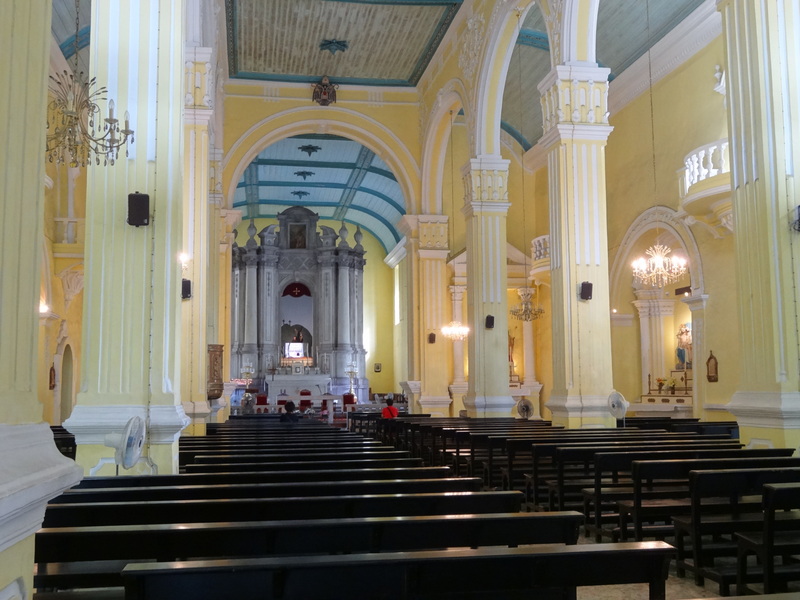 When traveling, especially in Asia, where colonial outposts, forts, and other remnants of empire exist, it is important to take some time out of your travel to take in the architecture and try to understand the influences and underlying causes to these buildings and why they are there in the first place. 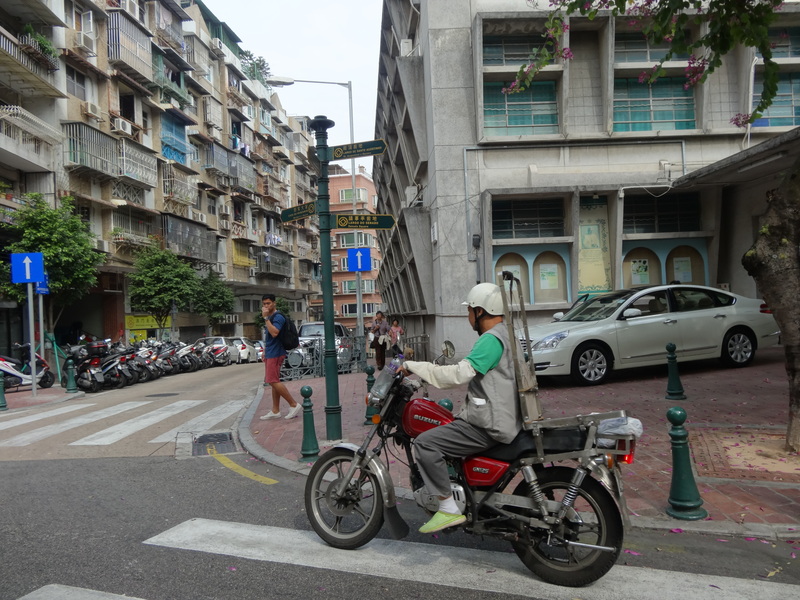 I was surprised by how similar Macau and Manila were, architecturally speaking. I will be visiting a former Dutch garrison in Taiwan in a few weeks and look forward to seeing my first piece of the former Dutch East India Company. In the coming days, I will post another article documenting some of the architecture I witnessed in Malaysia, specifically Kuala Lumpur, and how seeing that British architecture inspired me to embark on my most daring and exotic trip yet: Burma. 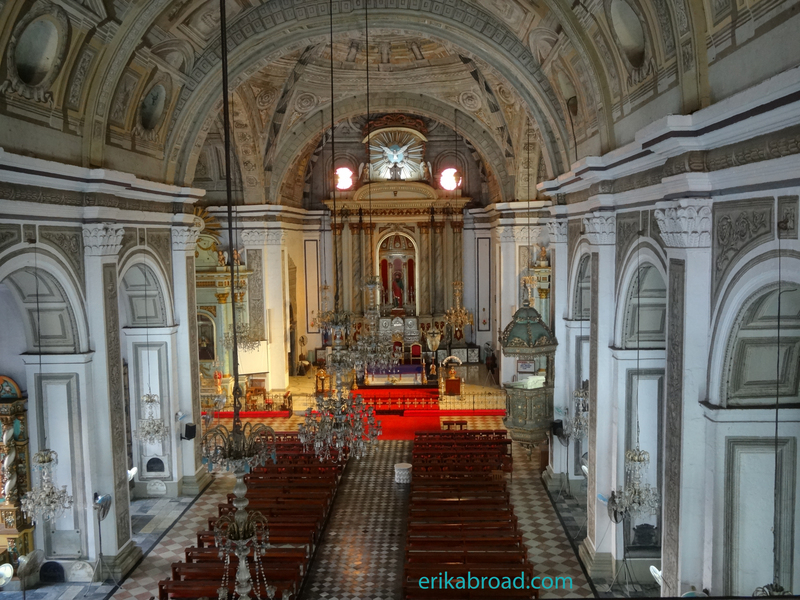 If you wanted to see more amazing Portuguese church i would advise Goa, and if you are curious of pieces of the Dutch east India company’s masterpieces you might as well visit Indonesia. Jakarta and Semarang have the best colonial architecture in the country, as far concerned there’s nothing left in Dutch Formosa. Or even Sri Lanka have more pieces of Dutch history than Taiwan ever did. Melissa, I have never been to East Timor, Indonesia, Goa, etc. 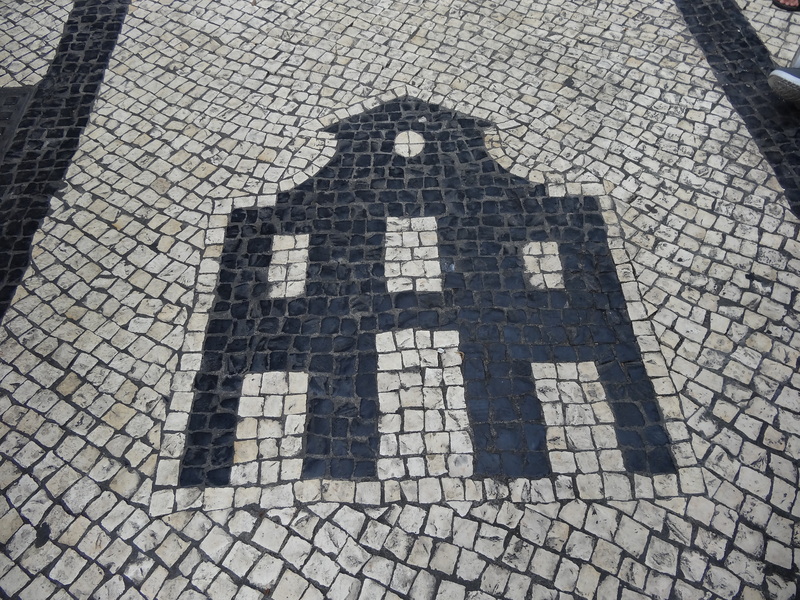 I simply wrote this article comparing two cities I have visited based on components of the Iberian Union and other historical factors that tie together Spanish and Portuguese architectural styles. I don’t know why you wrote such a scathing comment.